GBPUSD surges to retest the area at 1.2834-77, expecting a downward movement. 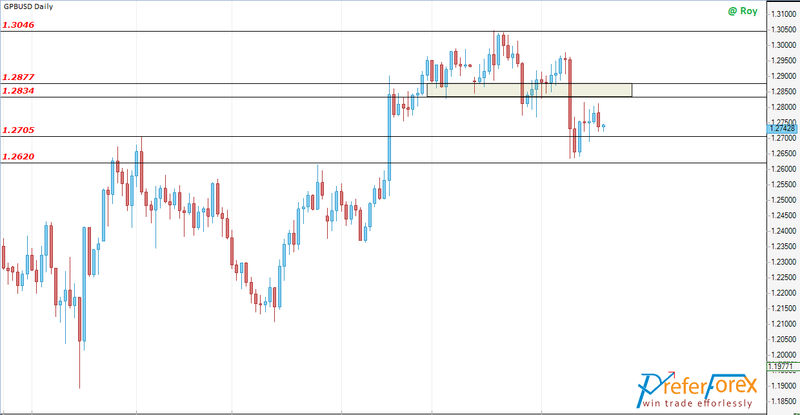 After breaking the last low, GBPUSD is now rebounded to retest our expected resistance area at 1.2834-77 which was acting as support previously. The long term view is still bullish. It is expected a bearish movement from this area targeting 1.2705 followed by 1.2620. But the scenario will be invalid if the price break the recent high at 1.3046 and that time price the bullish bias will be more significant.